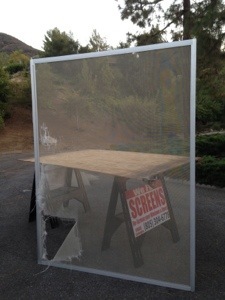 Screen Doors Thousand Oaks | Screen Door and Window Screen Repair and Replacement Simi Valley, Thousand Oaks and Surrounding Areas. 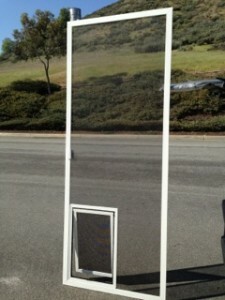 Need mobile screen door repair thousand oaks area? We come to you for any screens that you may need to service onsite! 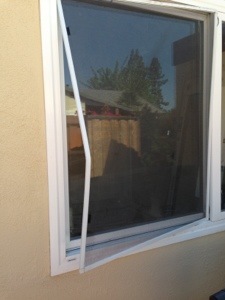 Free estimates and 20 years of licensed professional screen door repair is what we are all about. 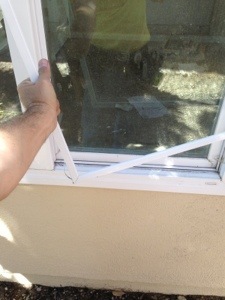 We have been doing screen door repair thousand oaks for over 20 years and have thousand of happy repeating customers. All our clients tell us how unique our screen shop on wheels is and convenient. 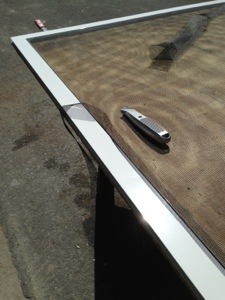 Most fixes are done at your place and a very reasonable cost and in most cases, one stop! 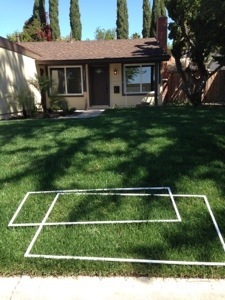 Give us a try and you will wonder why you lived with screen doors thousand oaks for so long! 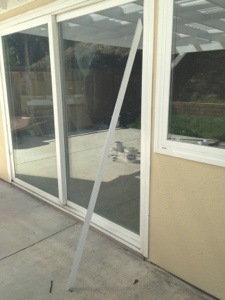 Installing all new sliding screen doors and new white window screens on the spot for a good customer of our. The house had been missing all the window and door screens for some time now and they decided to get our heavy duty screens installed.